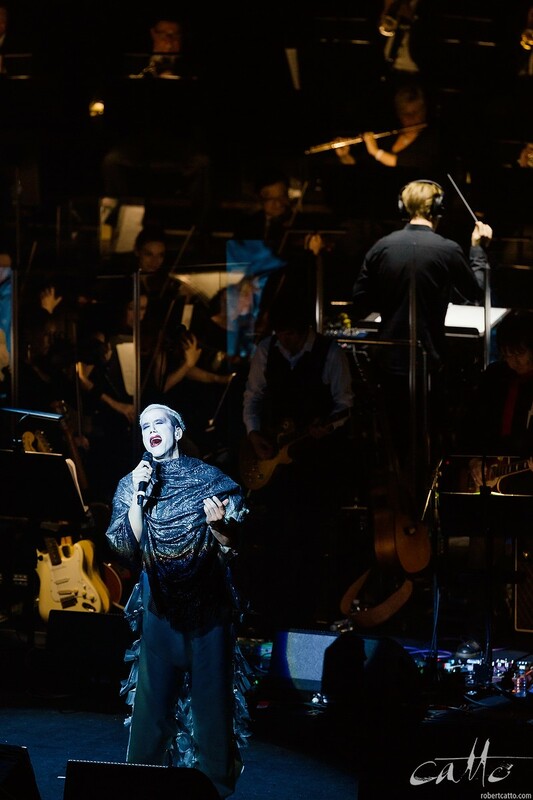 I've been working with the Sydney Symphony Orchestra a bit recently, and this weekend was their David Bowie: Nothing Has Changed tribute concert at the Sydney Opera House concert hall. I'd been in a couple of weeks ago for rehearsals and to meet some of the production crew and performers, which was great - but they'd come a long way since that first day, including incorporating the orchestral musicians, which we didn't have there at the time! I'd actually seen Bowie live twice myself, in Toronto on his Glass Spider tour in 1987 (with Duran Duran opening) - though in fairness, I don't remember that terribly well, and I had terrible seats in a baseball stadium - and then, in 2004 in New Zealand, on what turned out to be his final tour. That was amazing. I hadn't decided to go until the day before, but as luck would have it, I went looking for tickets just when the artist holds were released; so we were about six rows from the stage, in the kind of howling gale that only Wellington can manage. He came out for the first song, launched into Rebel Rebel, got properly soaked like the rest of us, then disappeared off stage momentarily and returned in one of the crew's North Face raincoats and continued in that for the rest of the night. If we were willing to turn up in that weather to see him, he was willing to suffer it with us. The crowd went mad. I came away from that night with a renewed appreciation not only for him as a performer, but for the depth of songwriting talent he'd managed to develop over his career - and also for the quality of musicians he brought with him, most memorably the bass player, Gail Ann Dorsey, who took the Freddie Mercury part in Under Pressure and monstered it into submission. 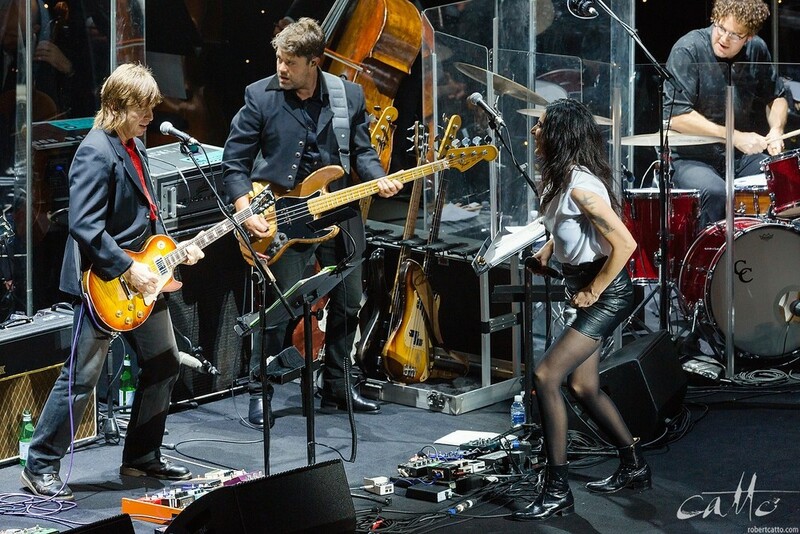 So while I was interested to see how the singers handled Bowie's work on the weekend, I was also looking for what the band was like - both the SSO, and the guitars, bass, keyboards & drums out front, giving his songs their familiar tone. I needn't have worried, on either front - the band were tight, well rehearsed, and LOUD; the orchestra were right there with them, keeping pace perfectly and adding depth and power; and the vocal performances were outstanding, particularly Deborah Conway's power on Starman, iOTA's gentleness on both Space Oddity to start the show and Life On Mars to finish the first half, and Tim Rogers' outstanding delivery of Lazarus, during which I may have had to stop photographing the show because I had something in my eye. There's some suggestion that the show may come to other centres in Australia; so if it shows up near you, and you get a chance, do check it out. As someone shouted from the audience on opening night, David would be proud.